I’ve previously referred to the regrettable fact that in response to the growing acceptance in our community of the fact of evolution, magazines such as The Christadelphian and The Testimony are doubling down on their attempts to defend the indefensible. 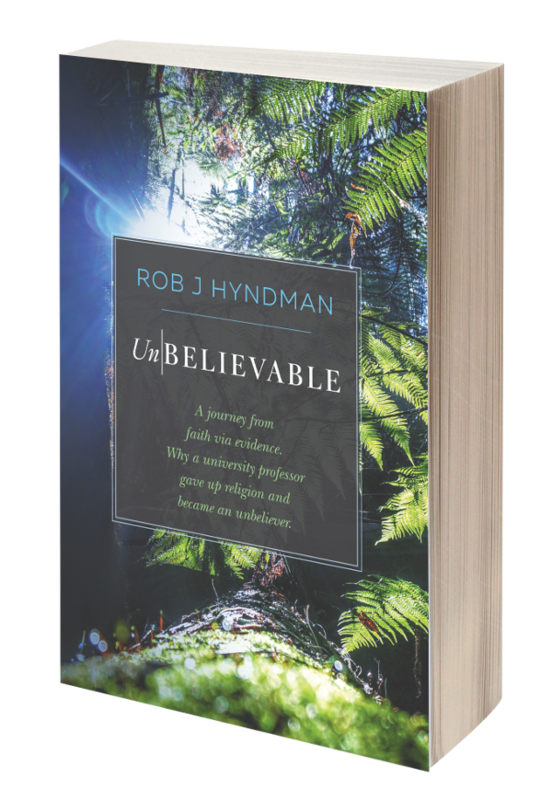 Kel Hammond is the latest author recruited by The Testimony in their desperate attempt to rebut evolution. Hammond’s article is ultimately yet another attempt to define away evolution by (1) attacking it on spurious philosophical grounds and (2) criticising a straw man version of evolution that bears little resemblance to mainstream evolutionary biology. Ultimately, Hammond’s article is a reflection of his failure to properly understand both scientific epistemology and modern evolutionary biology, and as such reflects yet again how poorly special creationists in our community understand the subject they are criticising. The author of this series does not attempt to deal with all aspects of the topic or to address all the relevant arguments—or even to offer a ‘scientific’ argument against evolutionary theory. There are many complex aspects and disciplines involved, at times all seemingly united in support of evolutionary theory. The author sees the essence of the debate as one of philosophy and faith, rather than one of science. Mainstream scientists, when postulating on origins, utilise abductive reasoning coupled with a materialistic philosophy—in other words, they claim that the past can be understood only by the present, using natural mechanisms. These ideas are explored in this essay. The author of this series does not attempt to deal with all aspects of the topic or to address all the relevant arguments—or even to offer a ‘scientific’ argument against the theory. There are many complex aspects and disciplines involved, at times all seemingly united in support of evolutionary theory. The use of weasel words such as ‘seemingly united” elide over the fact that multiple scientific disciplines independently converge on one fact – all life is united via a process of descent with modification. One does not dismiss this evidence by using terms such as “seemingly united.” There is nothing ‘seemingly united’ about the lines of evidence for common descent. As the evolutionary biologist Douglas Futuyama notes, evolution has not been an issue for over a century. Rhetorical evasions are not sufficient to dismiss one of the best-attested facts in science. The author sees the essence of the debate as one of philosophy and faith, rather than one of science. Darwin’s cause in America was championed by the thoroughgoing Congregationalist evangelical Asa Gray, who set himself the task of making sure that Darwin would have “fair play” in the New World. Let us be clear right away that this cannot be dismissed as capitulation to the social pressure of academic peers. To the contrary, Gray had to take on one of the most influential naturalists in America at the time to maintain his viewpoint – none other than Louis Agassiz, a Harvard colleague who vitriolically scorned Darwin’s theory. But Gray was not alone. Many of his countrymen, associates in science and brothers in religion took the same stand. And indeed even those who ultimately remained unimpressed with if not hostile to Darwin were quite prepared to admit that evolution had occurred. It is surely not without significance that Christian botanists, geologists, and biologists – that is to say, those best placed to see with clarity the substance of what Darwin had proposed – believed the evidence supported an evolutionary natural history. Evidently, many devout Christians theologians and scientists did not perceive the essence of the debate as one of philosophy and faith, but rather one of science, which suggests strongly that Hammond’s opposition to evolution is based on flawed hermeneutics, an unwillingness to change an interpretation of the creation narratives that is refuted by evolutionary biology, and a desperate attempt to resolve the problem by hand-waving away the scientific evidence. "The debate between biblical creation and the theory of evolution is argued in scientific terms - that is, on the scientists' home ground. The following article argues that the conflict is actually a philosophical one, reflecting the competing world views of the two sides. For believers in God and His revelation in the Bible, the changing theories of science must be subservient to the inspired Word of God." Perry’s attempt to redefine the terms of debate as I pointed out reflected a poor understanding of both scientific epistemology and the science behind evolutionary biology. Fundamentally, Hammond’s attempt to evade the burden of proof is identical to that made by Perry, and as such the criticisms of Perry’s approach apply equally to that of Hammond’s argument. Mainstream scientists, when postulating on origins, utilise abductive reasoning coupled with a materialistic philosophy—in other words, they claim that the past can be understood only by the present, using natural mechanisms. Science to a first approximation is the search for natural causes for natural phenomena, and as such any supernatural explanation is a priori not scientific. This applies to any scientific discipline, not just evolutionary biology. One would hardly criticise a clinical epidemiologist for not allowing divine intervention as a plausible cause of infectious disease, or an atmospheric physicist for ruling out of bound the finger of God as the explanation for tornadogenesis. Hammond’s attempt to make evolutionary biology a special case is clearly an attempt to redefine a scientific discipline that threatens his interpretation of the creation narratives in an attempt to justify his illegitimate use of philosophy to dismiss evolution, and on these grounds can be dismissed as having no credibility. Given that Hammond destroys his entire thesis in his opening paragraph, it would seem somewhat indulgent and pointless to devote a few more articles to refuting the rest of his thesis. However, as Emil Zuckerkandl and Linus Pauling wrote fifty years ago when musing on how the consonance of molecular and morphological phylogenies would provide an excellent demonstration of common descent. Besides offering an intellectual satisfaction to some, the advertising of such evidence would of course amount to beating a dead horse. Some beating of dead horses may be ethical, when here and there they display unexpected twitches that look like life. Given the potential of such dead horses both to destroy the intellectual credibility of our community by linking its theology with obscurantism, and its risk to the faith of young people who are well aware of the evidence for evolution, such beating is very much indicated, and will take place over the next few posts. Hammond’s article has been recently serialised in The Testimony, but I will be responding to a similar online article available here. Zuckerkandl, E. and Pauling, L. (1965) "Evolutionary Divergence and Convergence in Proteins." in Evolving Genes and Proteins: a symposium held at the Institute of Microbiology of Rutgers, with support from the National Science Foundation. Eds Vernon Bryson and Henry J. Vogel. New York: Academic Press.